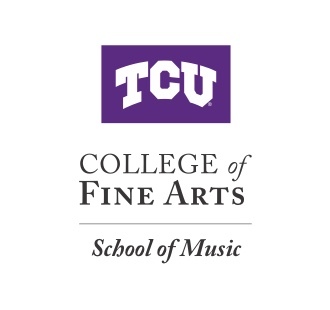 The TCU Wind Symphony is recognized as one of the premier collegiate wind bands in America. It regularly performs the best in wind band literature and commissions new works — from the Renaissance masters to the most recent prize-winning composers. The Wind Symphony frequently hosts visiting composers, soloists and conductors in rehearsal and performance providing important interaction during the creative process. This year David Maslanka and Frank Ticheli will return as guests. Other recent guests include John Corigliano, Michael Colgrass, Frank Ticheli, John Mackey, James Keene, Gary Green, Tim Reynish, Ray Lichtenwalter, John Whitwell, Christopher Tucker, Eric Rombach-Kendall, Mark Fonder, Jay Gephart and the American Brass Quintet. The Wind Symphony has performed at Carnegie Hall, Texas Music Educators Association Convention, College Band Directors National Association Convention, American Bandmasters Association Convention and Bass Hall in Fort Worth. The group has released two professional recordings: “Testament, Music for a Time of Trial” and “Regenesis, Music of Renewal.” A DVD of the ensemble’s recent performance of “Circus Maximus” at Fort Worth’s Bass Hall will soon be available. Graduates of the Wind Symphony hold positions in professional symphony orchestras, military bands and recording studios, in addition to serving as teachers and conductors. Visit Wind/Percussion Auditions for ensemble audition information. Fall auditions for the Wind Symphony & Symphonic Band will take place on Saturday, August 18, prior to the start of the semester. Specific audition information can be found by visiting Wind Percussion Auditions.